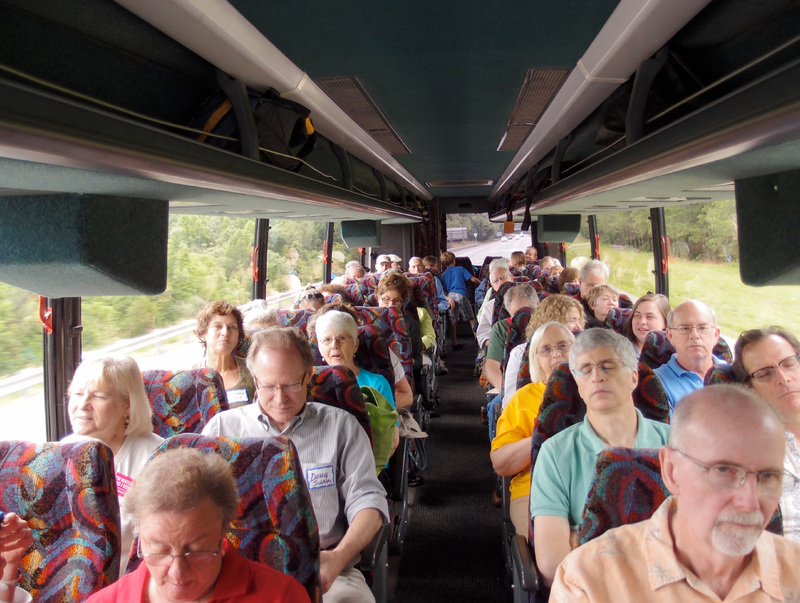 Members of all three UU churches in the Mecklenberg area came together on June 2 and 3, 2013, to join a protest sponsored by the NAACP. 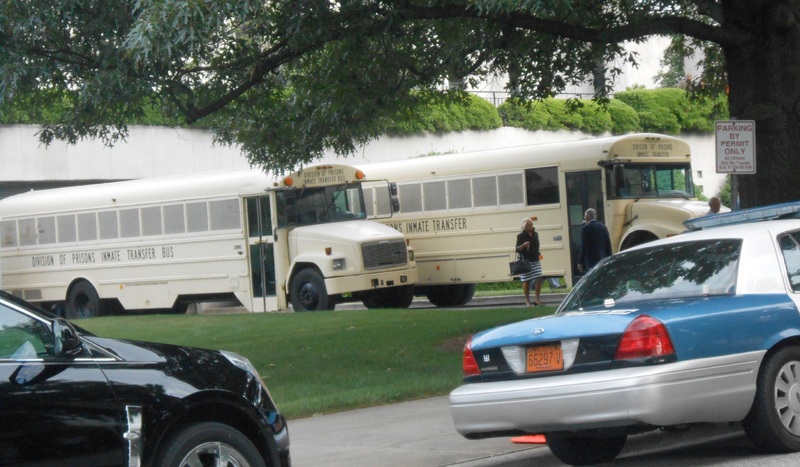 The NAACP was in its fifth week of leading rallies at the General Assembly in Raleigh to protest much legislation that adversely affects vulnerable populations, especially the poor and children. The NAACP and other activists have directed their protests at policies on social programs, voting rights, education and tax reform. They argue decisions to refuse Medicaid expansion, cut unemployment benefits, require photo identification at the polls, and other actions show a disregard for the state's most vulnerable residents. Revisions in the state’s tax policies will cut taxes for upper income citizens and use sale taxes to raise state income. Sales taxes fall proportionately more heavily on the poor. Cuts are included in the proposed budget that will have major negative impacts on education, including increase in class sizes, reductions in the numbers of teaching assistants, funds allocated for vouchers to private schools, and decreases in funding for pre-kindergarten education. 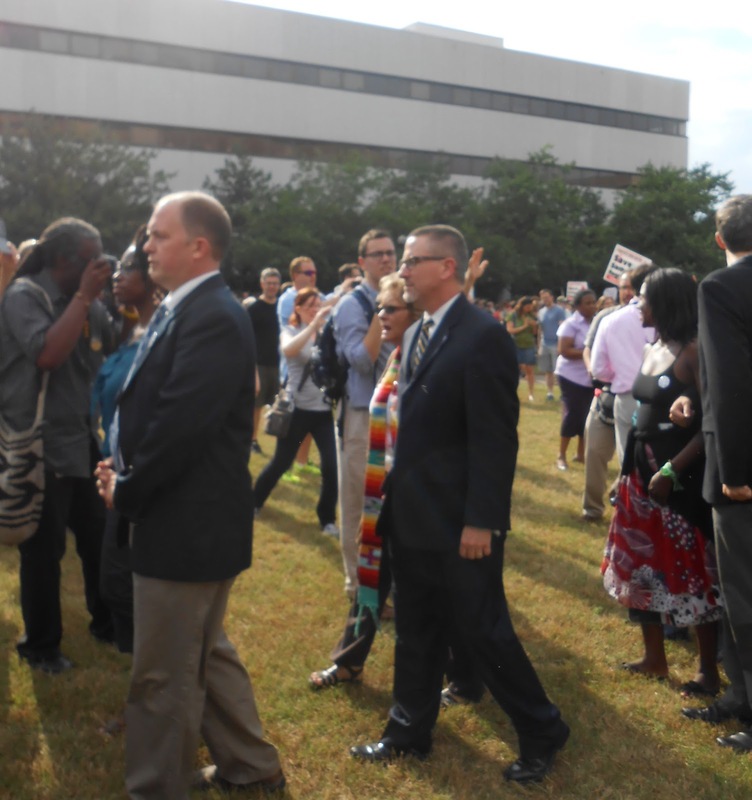 On Sunday evening, a large gathering participated in a special service at the Unitarian Universalist Church of Charlotte in preparation for the Moral Monday rally the next day. Reverends Jay Leach, Robin Tanner and Amy Brooks all participated in the service, along with Rev. Kojo Nantambu from the NAACP and Reverend Doctors Madeline and Rodney Sadler. The service included music and singing by the UUCC choir and special guests and was directed by John Herrick, music director at UUCC. 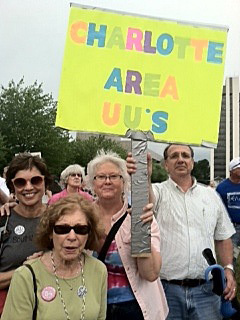 On Monday, approximately thirty Piedmont UU members traveled to Raleigh to participate in the 5 p.m. rally. Rev. Jay Leach led a group from UUCC and Rev. 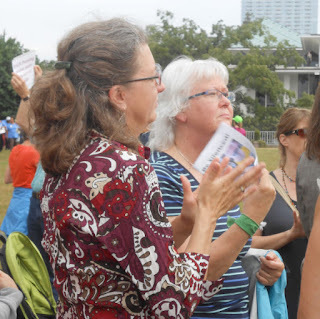 Amy Brooks attended from the UU Fellowship of Lake Norman. In total, nearly eighty Unitarian Universalists from Charlotte gathered in Raleigh to protest. "Article 1, Sec. 12. Right of assembly and petition. The people have a right to assemble together to consult for their common good, to instruct their representatives, and to apply to the General Assembly for redress of grievances; but secret political societies are dangerous to the liberties of a free people and shall not be tolerated." Hundreds of others expressed strong support for all of the arrestees, including lining up on Salisbury Street to cheer for them when they were carried away by state prison buses. Some remained into the small hours of the morning when they were finally released. Rev. Jay Leach, Rev. 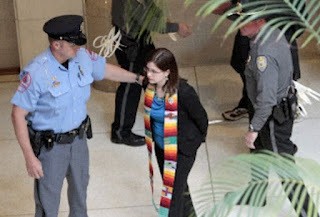 Ann Marie Alderman, Mimi Davis, Pam Whistler, Jeff Jennings, Allene Allen, Tom McFarland and Darla Davis were all arrested, as were eight members of the Unitarian Universalist Church of Charlotte and Kathleen Carpenter, Director of RE at the UUCC. Rev. Robin was arrested at the rally on May 27th. As I was processed, I continually found my thoughts going to what this whole experience would feel like if you were there alone without the support of the NAACP lawyers, friends and ministers; if you were mentally confused or incompetent; if you were an immigrant who didn't understand English; if you'd come from a country where the police were dangerous. But I found comfort in those around me who were taking a moral stand against this legislation that has far reaching and long lasting impact on NC. I sat handcuffed on the cold metal benches of the detention center next to rabbis, Catholic and Episcopal priests, ministers from Methodist and United Church of Christ and I'm sure many other faiths/denominations. I sat with young people, veterans, students, and seniors. I walked into the State house with a man in a wheel chair and was processed with an elderly man who walked with a cane while his hands were handcuffed. Among us were people in official religious garments, business suits and dresses, jeans and tee shirts. We were business owners, employed, unemployed, and retired. We were students, teachers, artists, veterans, health care workers, social workers, doctors and... We were "the people". I'm still emotionally and physically processing all this. But I've already decided that I'll be going back to Raleigh this coming Monday and as many Mondays as I possibly can. These regressive bills and laws are too important for me to stay home and do nothing. UU's and friends on June 10th. 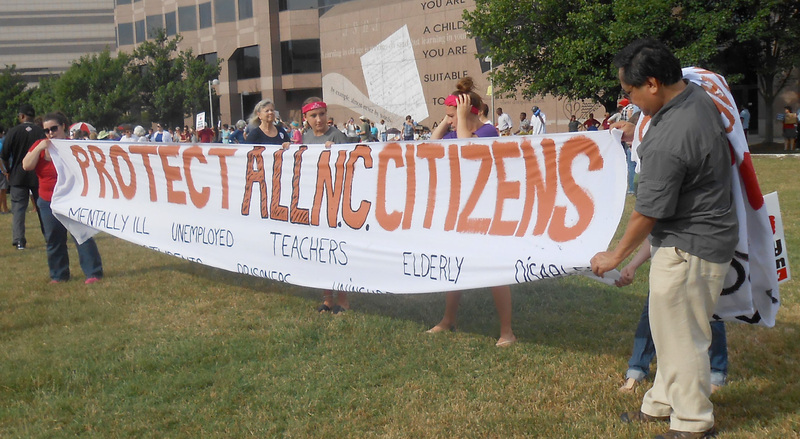 Despite tornado warnings across the state, several thousand demonstrators gathered again in Raleigh on Monday, June 10, under rainy skies to continue the weekly protests of the new policies and laws coming out of the General Assembly. 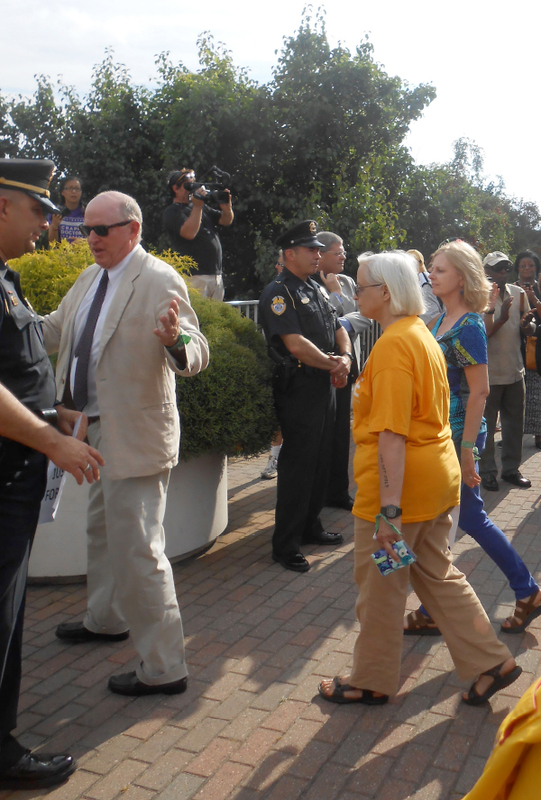 Religious leaders from around the state led the rally that resulted in nearly 60 arrests. Many who were arrested were clergy.